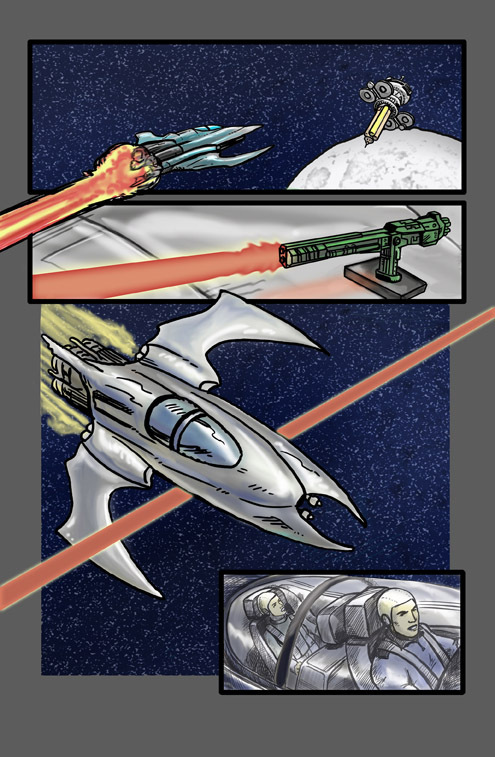 I was originally hoping to have my Jack Quasar comic book, Project Prometheus, finished and printed in time to use as Christmas Gifts, but got lazy after having the first chapter printed in July. The new goal is to have it out and printed sometime before June. Now that Ridley Scott has a new movie coming out called Prometheus, I don’t want anyone thinking I’m ripping him off. Not that there will be much to invite comparison other than the title. I’m excited about Scott’s return to SciFi and can’t wait to see the movie. If I’m unable to get my book finished in time, I’ll just go back to the original title, Flash Rogers and the Star Wars. That should be safe.